My daughter graduation from Worcester Poly Tech this past weekend. I am so proud of her! 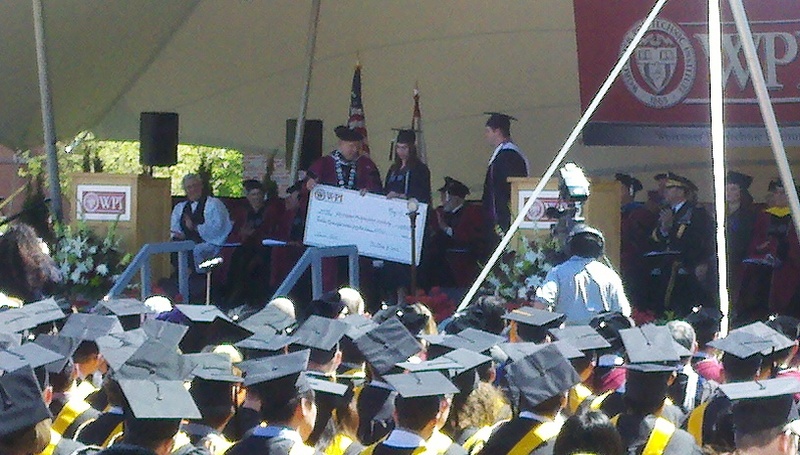 What I was also proud of was that a big check that we made was used in the graduation ceremony. It represented the senior class gift to WPI. We do a lot of big checks for presentations, and what makes us special is that we do them fast, affordably, and right! What WPI did was create a big check with gloss laminate on the face, so that a dry erase marker can be used to write the big check, and it can be erased and re-used. That makes each use of the big check less expensive! Hooray for WPI! Hooray for the class of 2012! Hooray for the end of tuition checks! This entry was posted in large format printing and tagged big check, big checks, large check, large checks. Bookmark the permalink.